Imagine a basket of fresh ripe vegetables you have just gathered from your own garden. How satisfying it is to know you can produce such beautiful, healthy and delicious food for yourself! A packet of seeds usually costs less than 3 dollars. Most fresh vegetables cost at least $1 per pound in the grocery store. It only takes a few plants to produce a few pounds of vegetables. So you should easily be able to save money on your grocery bill, even if you only grow a few plants. Home grown vegetables can be harvested at the peak of flavor, and eaten right away. The veggies in the grocery store may have been harvested under-ripe, and traveled for days to reach your market. As produce ages, nutritional value usually declines. When you purchase produce from the grocery store, there is usually no way to tell what chemicals might have been used in the production of the crop, and whether residues remain. When you grow your own vegetables, you can choose not to use chemical pesticides. There are many unusual varieties of fruits and vegetables available from different seed companies. A very limited number of these varieties is grown commercially and sold in the grocery store. 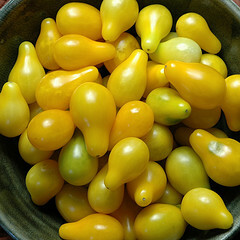 How would you like to try purple broccoli or yellow pear tomatoes? You will be amazed by the different flavors, colors and shapes that you can grow! 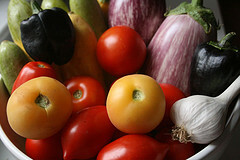 Check out the Colorful Curiosities Vegetable Collection at Park Seed! Tending the plants in your garden usually involves some physical exercise. Spending time working with nature can also calm your mind and uplift your spirit. Planning and problem solving in the garden stimulates learning and creativity. Knowing you can provide for yourself is satisfying and empowering. 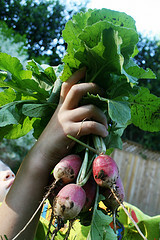 If your garden produces more abundance than you can use yourself, you can share with your friends and neighbors. Or you could donate to your local food bank. Remember, as you sow, so shall you reap. You might be surprised by how you are repaid for your generosity and kindness! To get started, pick your favorite from the list below and learn all about how to grow it!